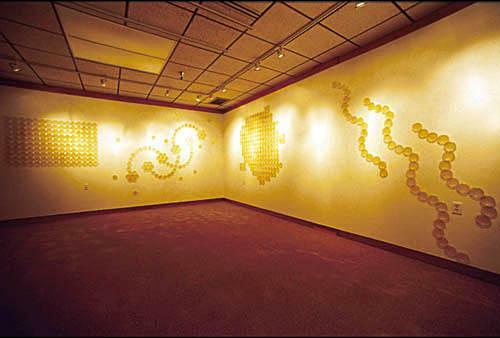 The Bioglyphs exhibition opened Earth Day, April 22, 2002 at the Exit Gallery on the Montana State University Bozeman campus. 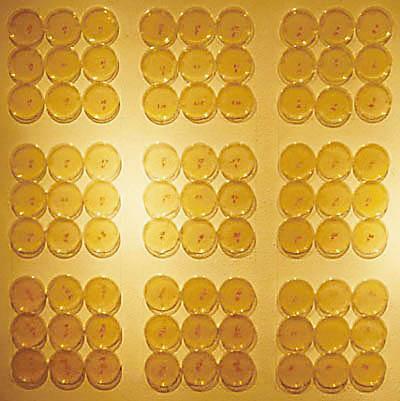 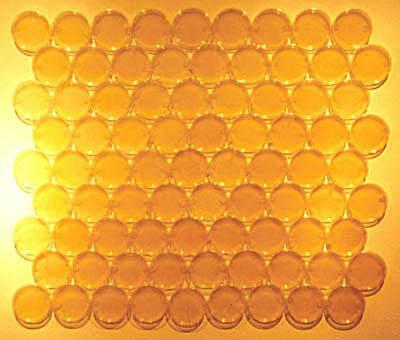 The Bioglyph paintings which follow are captured first with the lights on, so that you can see the installation of petri dishes, then with the lights off, so that you can get a sense of the beauty that the bacteria created with their own light. 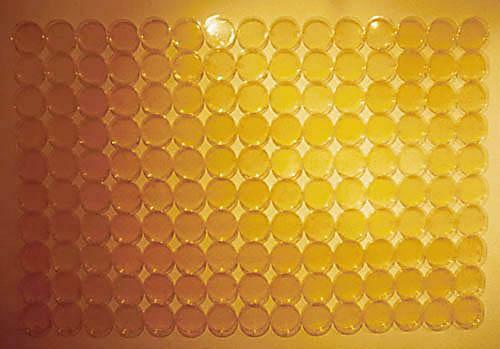 Click on an image to view as a slideshow. 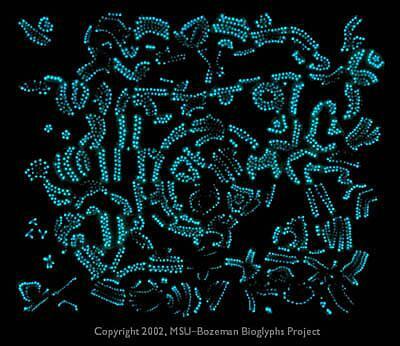 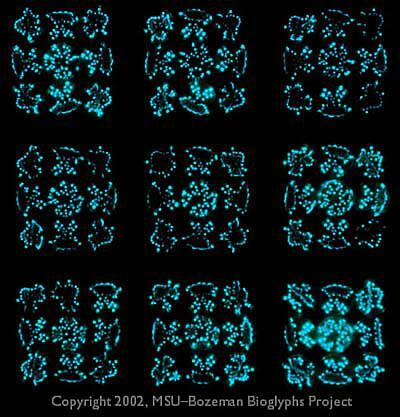 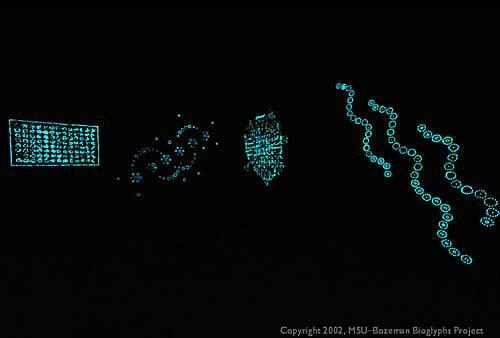 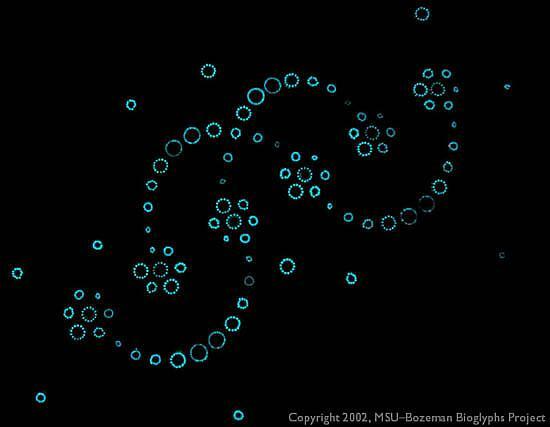 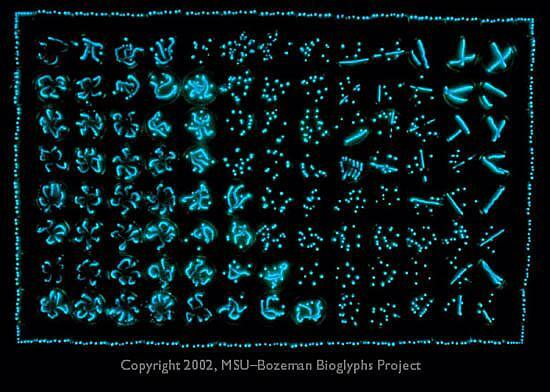 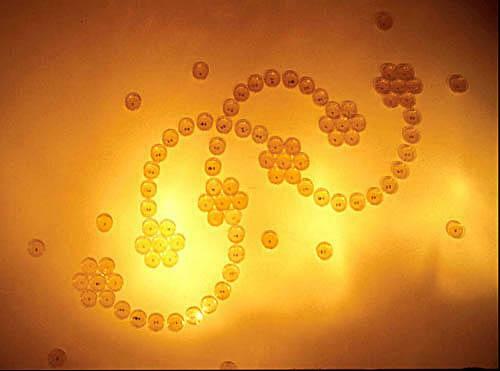 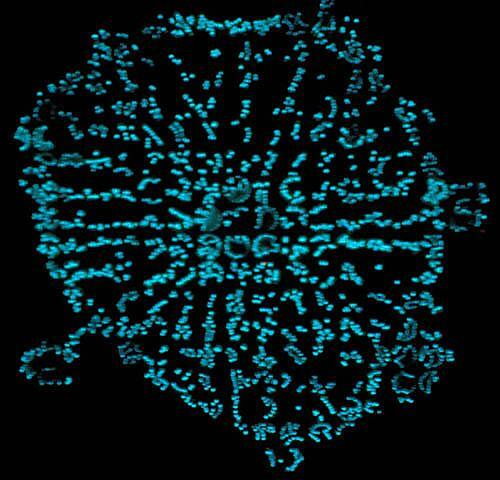 © 2002-2003 MSU Bozeman Bioglyphs Project, a collaboration co-created by the Montana State University Bozeman School of Art, the Center for Biofilm Engineering, and billions of bioluminescent bacteria.